How can you use video to market your business? I’m finishing off a new course where I demonstrate a new generation of animation software, and Biteable comes out at the top. Or as I say, I have fallen in love with a piece of software. Anneke uses animation and video creation tools like Biteable to create short videos to build an audience and land students through LinkedIn. In this post, we’re going to look at what she did and how you can use Biteable to build your own client base. The tools that are available now simply did not exist two to three years ago. Only highly paid specialists could make animation. This spoke to my democratic soul: give power to the people! Sometimes we fail to appreciate just how much our world has changed over the last decade. Ten years ago, the first iPhone heralded the rise of smartphones. Now, these devices are so ubiquitous that most of us don’t go anywhere without them. And, in this new world of endless possibilities, Anneke started a new journey. She began teaching people how to use these new tools to promote themselves and their businesses. Her first stop? Online learning and teaching marketplace Udemy. Anneke quickly found her audience: entrepreneurs and freelancers who longed to learn animation so they could create video content for social media, landing pages, and product promotions. She created 15 courses that have attracted over 7,800 students from around the world. 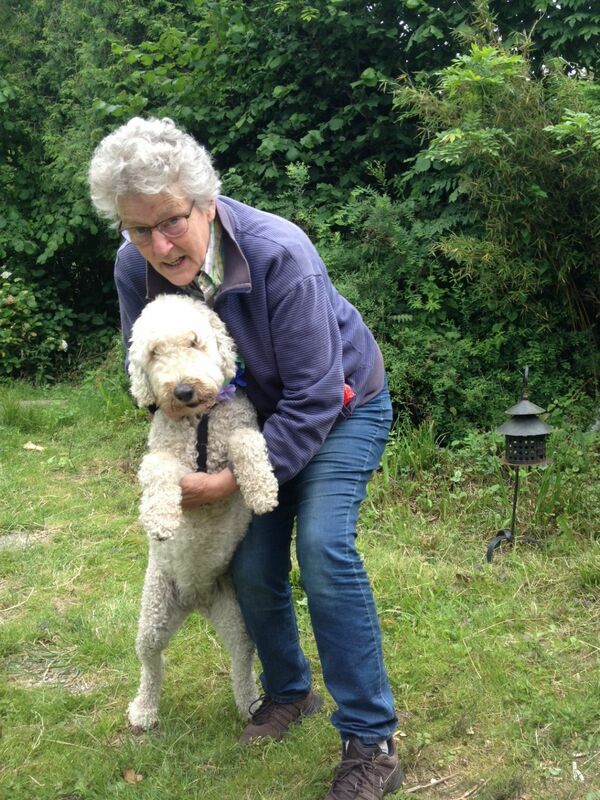 But Anneke wasn’t content with standing still. While Udemy gave her a great place to start and develop her initial material, she realized that MOOCs (massive open online courses) weren’t her passion. Anneke understood that talent and creativity will only get you so far. To build a sustainable business, talented animators need more than raw talent. They need a way to market themselves and land clients. To achieve this dream, and help others do the same, Anneke needed a surefire way to promote her new school. She focused on creating quality courses and then made short videos that spoke directly to the needs of her ideal students. Creating content isn’t enough. You still need to put it in front of the right set of eyes. So, Anneke shared her videos through her LinkedIn account. That’s when the magic happened. I asked Anneke about her process. “I mostly upload sample animations or share videos that others have made to demonstrate the variety of ways you can use animation software. I try to upload 3-5 animations every week.” The videos take her between one and two hours from start to finish. She made a lot of the videos with Biteable. Biteable is one of the most user-friendly animation apps for beginners at the moment. It looks deceptively simple but has greater depth if you work with it longer. It didn’t stop there. The videos led to course sales and 150 new subscribers for her free animation course. When we take into account LinkedIn’s more reserved nature, those numbers are pretty impressive. Regardless of what type of business you run, you can use a tool like Biteable to create short, hyper-shareable videos and upload them to your social media channels. We’d like to end with a video that defines the power of animation in Anneke’s own words. Short, snappy videos help you break through the noise and reach your ideal client. They’re fun to watch, easy to share and can be packed with valuable content. 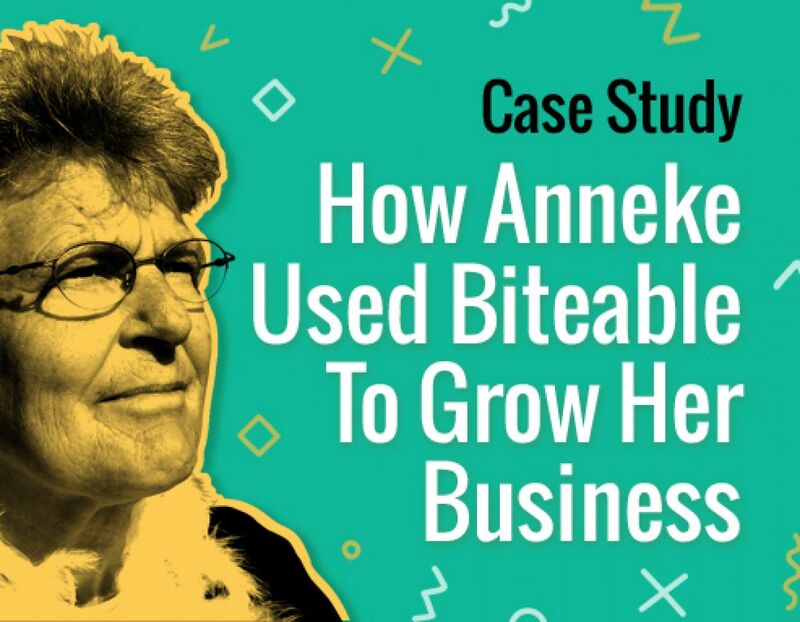 Anneke used Biteable to make a series of videos for LinkedIn that helped her gain exposure, build her list and sell her courses. You can do the same. Try Biteable today.